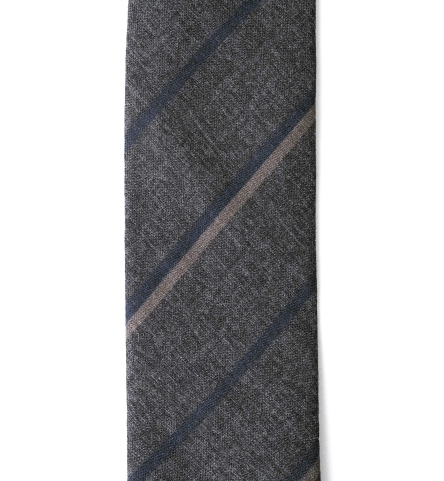 Wool ties are the go-to choice for the cooler months, and we particularly love the subdued color palette of this textured wool stripe. 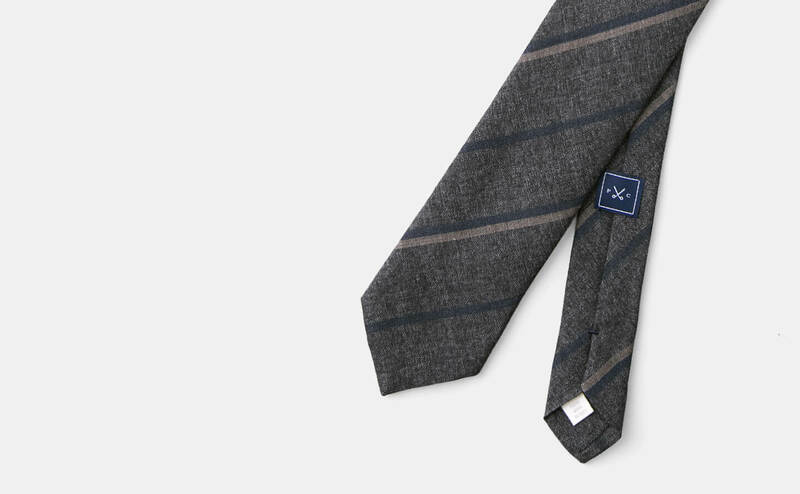 The muted navy sets the tone and allows this to work well with so many shirts and jackets, while the brown and taupe stripes add a beautiful accent. 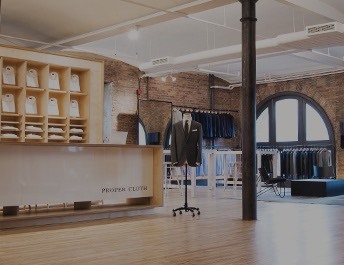 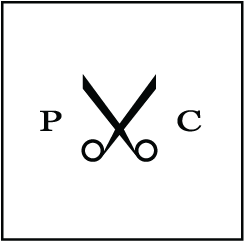 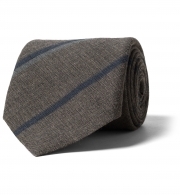 It's the sort of tie you can wear in business, but also with more easy going tailored clothing. Handmade from start to finish in Italy using pure wool from Biella. 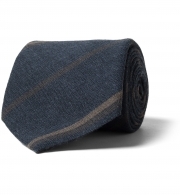 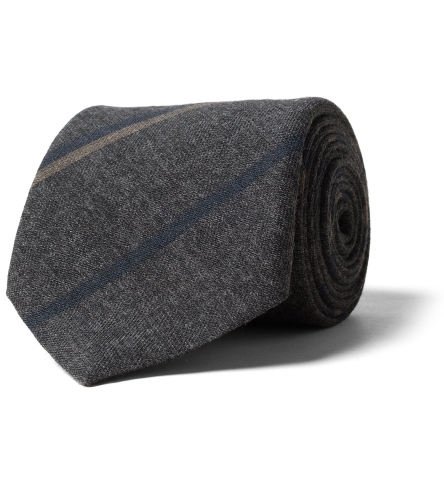 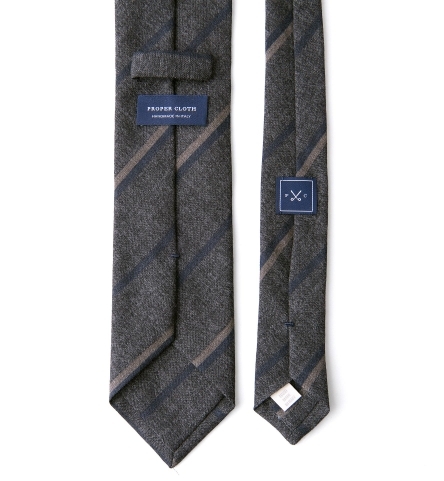 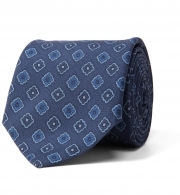 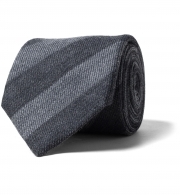 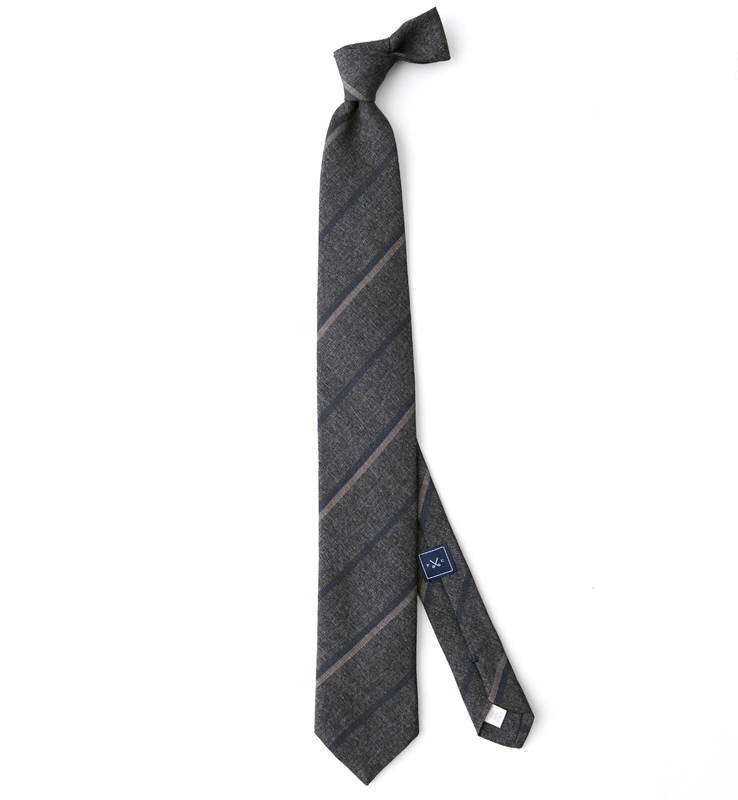 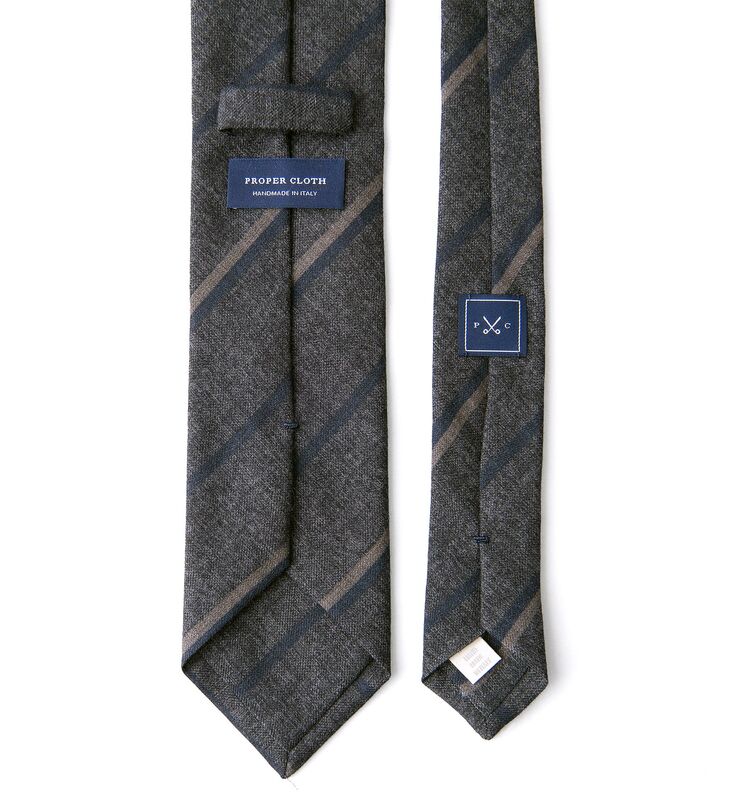 Featuring premium finish details, this tie uses the same wool on the back of the tie that is used in the front.